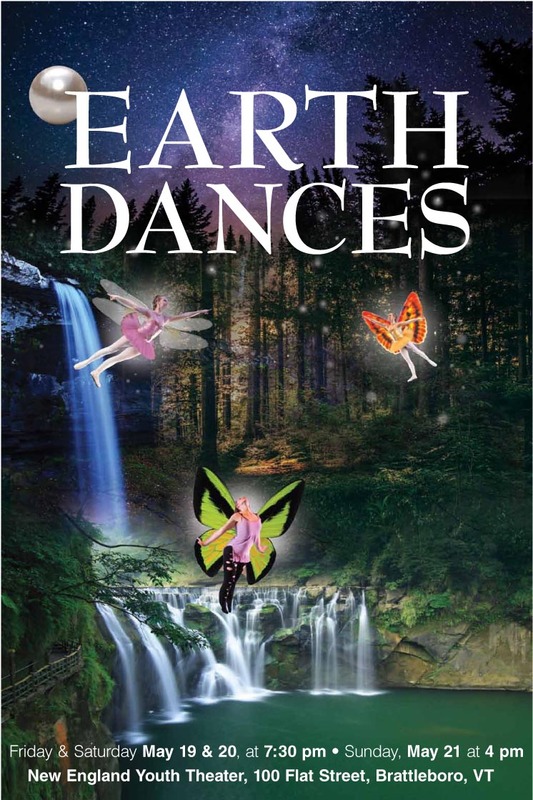 The Spring Dance Concert, Earth Dances, a fundraiser for the Company of Muses scholarship fund, which provides tuition scholarships for Brattleboro School of Dance students each semester, is coming this May 19 and 20th at 7:30pm and May 21st at 4pm. Purchase your tickets at BSD on Saturdays from 11am – 1pm (except May 20th) or at the NEYT Box Office Monday May 15 – 17 from 4-6pm or May 18th from 5-6pm. The NEYT box office also opens 1 hour before performances. You can purchase tickets online at EarthDances.BrownPaperTickets.com. Performances are at New England Youth Theater, 100 Flat Street, Brattleboro, Vermont. Tickets are $15, Seniors and Children Under 12 are $13.